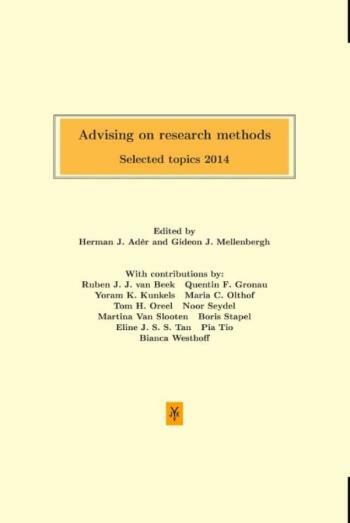 Advising on research methods: Selected topics 2014 results from a research master course Methodological Advice that was given at the University of Amsterdam at the end of 2014 by Gideon J. Mellenbergh and Herman J. Adr. The course had the same format as the course given in 2013. The objectives of the course were: (a) to acquire methodological knowledge that is needed for advising researchers in the behavioral and social sciences, and (b) to get experience with methodological consultancy.